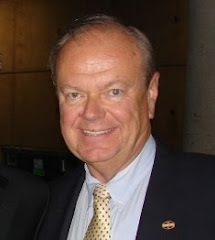 Pete Zdanis - USANA Independent Associate: Can YOU Become a Millionaire with USANA? WHAT? YOU Can Help ME Become A USANA MILLIONAIRE?!?! - NO WAY!!! Let me suggest another way for you to demonstrate to people how, with USANA, they can realistically create a financial asset worth hundreds of thousands of dollars (and even more), with an initial investment of less than one thousand US dollars. Now, don't give up hope yet. 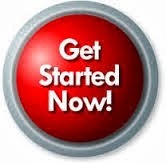 There is another way you can reach your goal of creating that $3,000,000US financial asset. In fact, what if you could find a way to reach that goal in only 3 to 5 years, with a part-time effort, and an initial investment of less than one mortgage payment? Do you think that you MIGHT be interested? By leveraging your efforts even more and building your USANA business with the three Business Center option, you can eventually maximize all three Business Centers, producing income of $3,000US to $3,750US per week, or $156,000US to $195,000US per year - equivalent to having $3,000,000US to $3,750,000US in the bank! In other words, every USANA Business Center you maximize weekly is a financial asset worth $1,000,000US to $1,250,000US. USANA has the products, the tools and the marketing plan which allows "ordinary people" to achieve extraordinary levels of financial success. You owe it to yourself and everyone you care about to show people the potential of becoming involved in USANA. And it's really very simple - just give them a copy of the current About USANA document - everything they need to know is there. 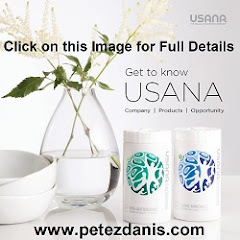 **Income Disclaimer - North America - The earnings portrayed are not necessarily representative of the income, if any,that a USANA Associate can or will earn through his or her participation in the USANA Compensation Plan. These figures should not be considered as guarantees or projections of your actual earnings or profits. Any representation or guarantee of earnings would be misleading. Success with USANA results only from successful sales efforts, which require hard work, diligence, and leadership. Your success will depend on how effectively you exercise these qualities.